Design ideas for a transitional kids' room for kids 4-10 years old and girls in Melbourne with multi-coloured walls and carpet. 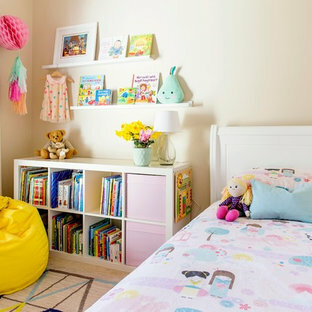 Inspiration for a transitional kids' room for girls in Sydney with beige walls, carpet and beige floor. 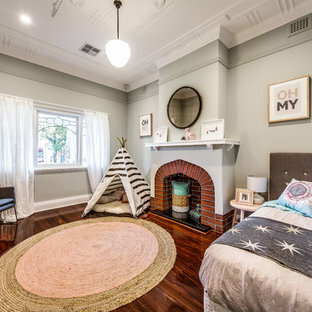 This is an example of a transitional kids' room for kids 4-10 years old and girls in Melbourne with grey walls, carpet and grey floor. 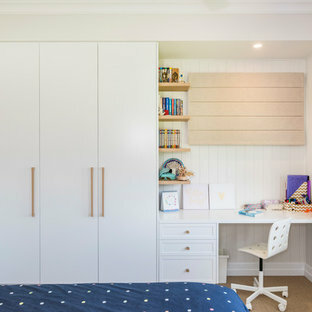 This is an example of a transitional kids' room for kids 4-10 years old and girls in Brisbane with white walls and beige floor. Photo of a large transitional kids' room for kids 4-10 years old and girls in Perth with medium hardwood floors and grey walls. Design ideas for a transitional kids' room for kids 4-10 years old and girls in Sydney with pink walls, dark hardwood floors and brown floor. This is an example of a large transitional gender-neutral kids' room for kids 4-10 years old in Sydney with white walls and carpet. Photo of a transitional kids' room for girls in Brisbane with white walls, dark hardwood floors and brown floor. This is an example of a small transitional toddler room for girls in Melbourne with beige walls and carpet. Photo of a mid-sized transitional kids' room for kids 4-10 years old and girls in Sydney with blue walls, dark hardwood floors and brown floor. Inspiration for a transitional kids' room for kids 4-10 years old and girls in Brisbane with white walls, medium hardwood floors and brown floor. Inspiration for a transitional kids' room in Sydney with purple walls and light hardwood floors. This is an example of a large transitional kids' room for kids 4-10 years old and boys in Sydney with beige walls, carpet and beige floor. Photo of a transitional teen room for boys in Perth with multi-coloured walls, carpet and grey floor. 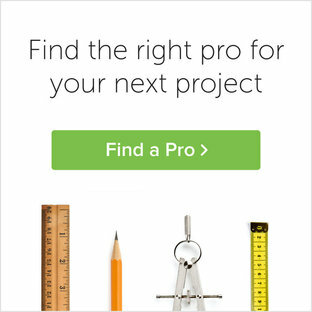 Design ideas for a mid-sized transitional kids' room for kids 4-10 years old and boys in Melbourne with white walls, carpet and white floor. 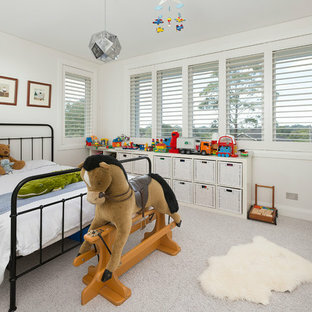 Transitional kids' room in Sydney with grey walls, carpet and grey floor for boys. 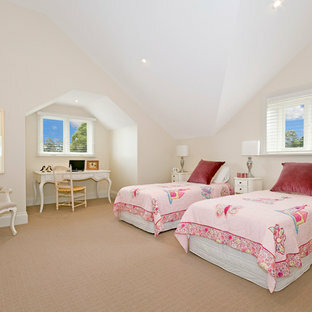 Transitional kids' room in Melbourne with white walls, carpet and grey floor for girls.